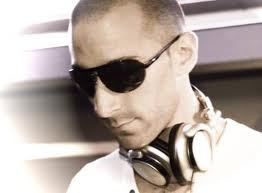 1996 Robert Abigail started his dj career in his hometown Rotterdam in the Netherlands. From the smaller bars and clubs he worked his way up in the scene. Robert Abigail is well known for his sets. They are smooth with a lot of influences from the latin scene combined with real house and vocals. In the summer of 2008 Robert Abigail scored a worldwide summer hit with the Mojito song. This song is well known from the Bacardi commercial. Not only in clubs around the world, but even in the charts. After a few months Mojito song even sold GOLD. One summer later in 2009 Robert Abigail did it again. A production, similar in style, became a worldwide hit again. Merengue was Robert's second single. Early 2010 Robert Abigail combined forces with Miss Autumn Leaves and Ron vd Beuken. Reslut? Good Times, a #1 hit on iTunes-dance!